YouTube has recently introduced another new feature, where people can watch their favorite TV shows online for free on YouTube. This new TV Episodes feature of YouTube is currently limited to Hindi Serials, so it will appeal to only Indians and NRI's.You can watch the latest episodes on YouTube, if you have missed them for some reason. 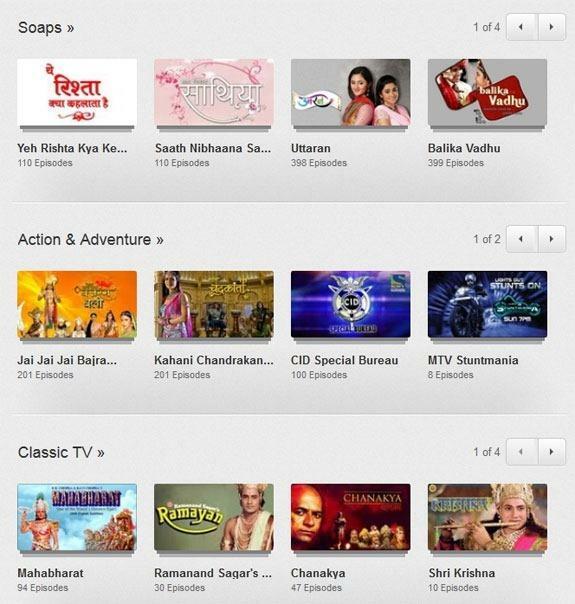 Most of the content available on the YouTube TV Shows section is provided by Sony Entertainment TV (SET), Star Plus TV and Viacom 18 owned Colors and MTV.